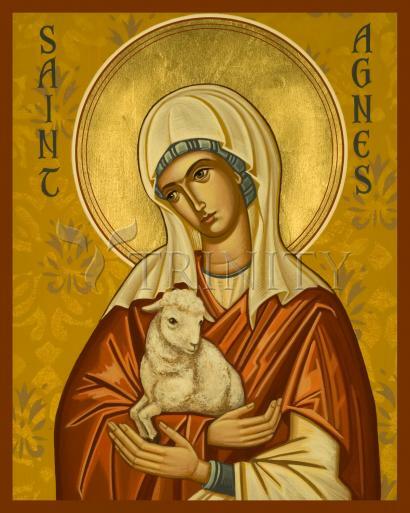 One of the most beloved of female saints, Saint Agnes is renowned for her virginity and for keeping her faith under torture. A girl of only 12 or 13 at the time of her death, Saint Agnes is one of eight female saints commemorated by name in the Canon of the Mass (the First Eucharistic Prayer). Christ made my soul beautiful with the jewels of grace and virtue. I belong to Him whom the angels serve. Her feast day is January 21.